I recently recorded a version of Pomona, the first single from my new album, for the lovely folks at We Are Hummingbird - a community of music lovers who have united to spread awareness of mental health within the music industry and to support artists suffering worldwide with mental health issues. Please check out the video above and take a look at some more from We Are Hummingbird and the wonderful artists involved. Happy to let you know that I’m opening for The Slow Readers Club next Thursday at Gorilla, Manchester. It’s sold out - see whoever has tickets down there early, I hope! 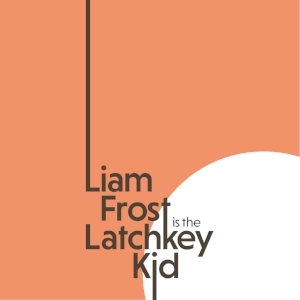 I'm absolutely overjoyed to let you know that I release my third solo album, Liam Frost Is The Latchkey Kid at midnight on Thursday 27th September, exclusively at my Pledgemusic page. For now it'll just be available digitally by purchasing an £8 Access Pass at the Pledge store, but you can pre-order CDs/vinyl and they'll be coming soon. So many of you have wanted to buy me a pint/whiskey at my shows down the years - how about you support truly independent music without damaging my already-fucked liver by picking up a digital download of this great record? The NHS will thank you years from now, if it still exists. There will of course be a general release, but that's currently being figured out - more on that soon! Its here, ladies and gents. Let a brother/sister know. So as promised I wanted to introduce you to some of the songs from The Latchkey Kid in the run-up to it's release in August. We'll start with Smoke, one of the earliest I wrote for the album. Let me preface this by telling you that I cannot play the piano. I think that was kind of the point when it came to writing some of the songs this time around. I was in something of a funk, and I wanted to be challenged into writing again. The simplicity of my playing brought a new naivety that I hadn't felt in a while. My mum had recently passed and I took a trip to the coast, a beach resort that I spent a lot of my childhood at. I was walking what felt like an age from the beach to the water's edge - it must have seemed so much longer as a child! There wasn't a great deal of people around, and I took a moment to take in the stillness of it all. It was then I felt this history on my shoulders, almost like I could feel my parents' presence. I've never been one to believe in any of that sort of thing but there was an acceptance of some sort, I felt at peace with it and the next day I wrote Smoke. It's about all of that, but it's also a reflection on so much more. It dropped out of the sky, into my head and out of my mouth! Hope you like it folks. Chequered flag Vans and an old suit jacket. You and I were on a tear, running rabid. Time waits for no man, time has passed me by. It’s still you for who my soul is thirsting. It’s the bad dream I’ve been having every night this week. It’s a day late – I was sleeping in this stalemate. Time, oh time - did I wither on the vine? You were mine, all mine. Was I clear enough in the words we spoke? Did you know I was that ghost? So I’m going where the ocean meets the land. My father walked the steps in which I stand now. Was I drinking the Kool Aid when I told you I felt you there? In this new loss I feel the weight of you, I swear. For each passing car, a half-life taken - I bide my time. Keep it well hid, a book of matches for the latchkey kid. I set a fire to my insides. You hold it up to the light. Take a look from both sides. Say never mind, let it ride. I'm happy to let you know that on Friday 24th August I'll release my first new solo album in some time. It's titled The Latchkey Kid, and it was made in various studios across the north west with my good friend Roo Walker. The album will be released a week early to the kind people who contributed to my PledgeMusic campaign. A single will also be released shortly. Thank you to those who have contributed so far, and to those of you who have waited and stuck with me up to this date. Hope you'll like the album as much as I've enjoyed writing and recording it. I'll be celebrating the release with a show at The Deaf Institute, Manchester on Saturday 25th August, backed by The Latchkey Kids. Tickets are available from the HERE RIGHT NOW. Looking forward to seeing my Manchester friends and family! National shows to be announced soon. Come to Manchester and party with us anyway - it's the bank holiday! The album release is getting close, folks... So Roo and I recently broke cover to record a session and interview with XS Manchester's Jim Salveson. We recorded Didn't It Rain and The Slow Knife from the record. Check it out below! More news really soon. Until then. Latchkey Kids play their debut show at Manchester's Deaf Institute on Thursday 30th November, in support of our first single The Slow Knife which is available everywhere from Friday 24th November. Tickets are available for the show HERE NOW. We'll look forward to seeing all of our Mancunian friends. Really excited to tell you that I've launched a Pledgemusic campaign to help fund the release of my next record with Latchkey Kids. There's a bunch of options in terms of levels to opt in at. Frrom £8 Access pass allowing you a digital download of the album on release day, right up to house shows and guitars and some higher-ticket stuff. Check it out at the link below - it'll be lovely to have you onboard for the journey. A new song for this Sunday morning. It's about my dad, my mum and a time when Normcore forefather Seth Cohen was my go-to style guy. It's a phone demo, but sometimes these things are the nice to hear. This will make the new record, which will be ready for the late Autumn.